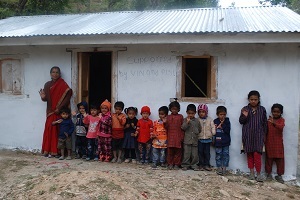 PiSL initiated the second Early Childhood project in the Thulachhap Village Development Committee (VDC) in April 2014. Thulachhap VDC is located on the top of a ridge and includes the southern slope of this ridge. 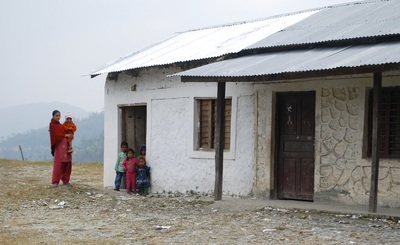 Thulachhap has a small village, Nisankhe, that has several small shops and two tea shops. There is a dirt road that goes through Nisankhe with local buses that arrive8 several times a day. Residents from many villages throughout Taluwa, Thulachhap and Bhadaure VDCs walk up to Nisankhe to catch the bus into the district headquarters. 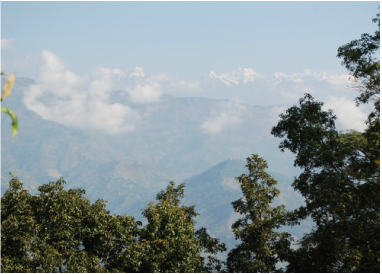 On clear days, Nisankhe has a beautiful view of the Mt. Everest portion of the Himalayan range. 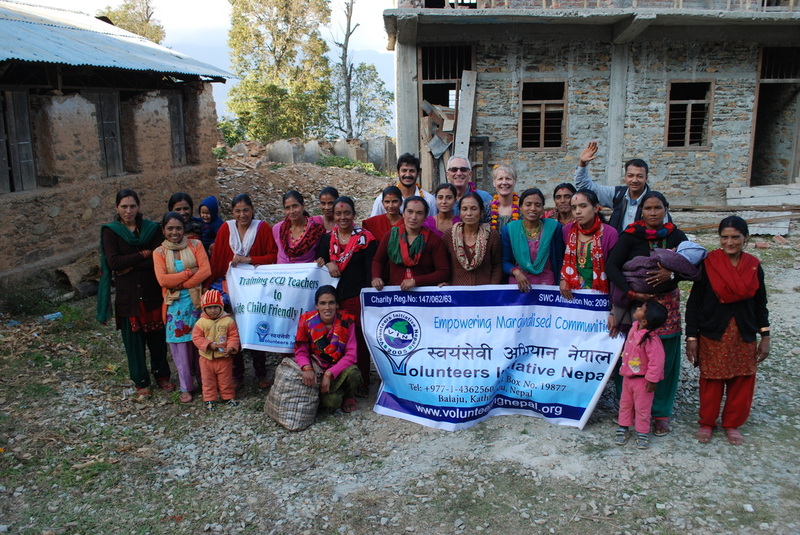 According to a 2012 baseline survey completed by our partner nonprofit organization, Volunteers Initiative Nepal, there are 735 households and a population of 4655 in Thulachhap. There are approximatley 180 children of preschool-age who reside here. Many of the residents are Janajits or indigenous people. About 10% of the population are Dalir, an economically and socially marginalized low caste that is chronically underserved. ﻿In April 2014, PiSL completed the second teacher training in Thaulachhap VDC. We trained 9 teachers and 9 substitute teachers who can fill in for the regular teacher when she is sick or absent. Seven of these teachers are paid by the Nepali government. We support the salaries of the remaining two teachers at $38 a month or $456 a year. You can read about these two deserving teachers on our Sponsor a Teacher donation page. Thulachhap had seven classrooms that needed repairs and renovations to become usable Early Childhood Centers. Community members cemented the floors and plastered the making the classroom clean and bright. 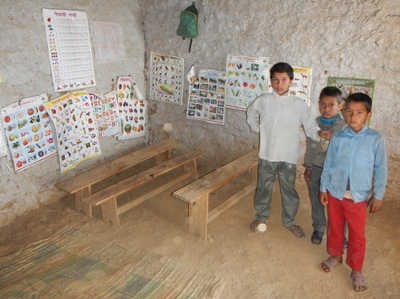 Classroom furniture was provided making learning easier for the children. 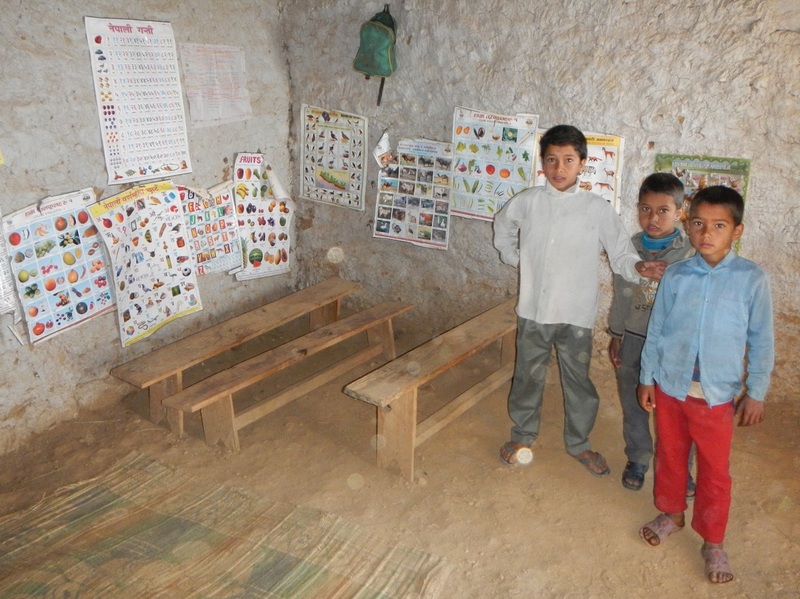 Three villages did not have a classroom that was available for renovation. So PiSL provided the construction materials including the cement, sand, tin roofing, nails, and wood for door and shutters. The community provided the labor to build the classroom. These three classrooms were completed in October 2014. There were two classrooms that were completely destroyed in the 2015 earthquake. Go to our Build a Classroom page to see how we are helping communities rebuild classrooms.